MUSSOLINI'S ISLAND is an exceptional account of the battle that showed Hitler's Fortress Europe could be vanquished, told for the first time by a talented young historian. In July 1943, the Allies launched their first assault against the "Fortress Europe" which Hitler thought invincible. MUSSOLINI'S ISLAND captures for the first time the full horror and glory, the fear and the foul-ups of one of the least known but most dramatic and controversial battles of World War II. MUSSOLINI'S ISLAND is not a conventional military history. It tells the story of otherwise faceless men and women -- American and Italian soldiers, a British Navy officer, and a Spitfire pilot - whose lives and loves are changed by the choices of Hitler and Mussolini, and of two star commanders locked in a personal rivalry: old "blood and guts" Patton and Montgomery, the best-known British Army commander of World War II. 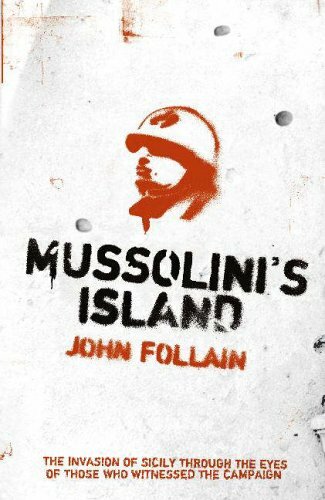 Based on in-depth interviews with the main characters, and hundreds of interviews with survivors, unpublished letters and diaries, Mussolini's Island sweeps the reader across stormy seas and onto the landing beaches in the first D-Day. An epic story of men and women at the most demanding moment of their existence, when the awfulness, complexities and triumphs of life are laid bare and fear and courage come to the fore.